Twenty Years After Dayton: Where is Bosnia and Herzegovina Today? In 2015, Bosnia and Herzegovina (B&H) marked the 20-year anniversary of the signing of the Dayton Peace Agreement. Today, the legacy of this agreement still affects the citizens, politics, economy and society. A Weidenfeld – Hoffmann Alumna, Lana Pasic, examines the effects of the agreement on contemporary Bosnia in her e-book Twenty Years After Dayton: Where is Bosnia and Herzegovina Today? Last year, Bosnia and Herzegovina marked two decades of peace, which was negotiated after 21 days at Wright-Patterson Air Force Base near Dayton, Ohio. The Agreement was signed on November 21, 1995 by Alija Izetbegovic, Franjo Tudjman and Slobodan Milosevic, and ratified in Paris on December 14, 1995. The peace agreement put an end to the four-year conflict, during which some 100,000 people were killed, and two million – half of Bosnia’s population – were displaced. It brought stability, ceasefire, withdrawal of the military, peacekeeping and disarmament, and with these also came a general sense of well-being, optimism and progress. High levels of international financial assistance were fuelling reconstruction, recovery and development. It is generally accepted that the first decade of peace showed remarkable improvements, both in terms or economic recovery and better relations between the former warring parties. Uniform identity documents and common passports were accepted, a common currency was introduced, unified army and intelligence services were created, and common state-level institutions were established with an aim of setting up a professional, multi-ethnic public sector. The rate of property return has been laudable, in spite of the fact that many of the returns were fictional, and people returned to the areas inhabited by their ethnic majority. However, the last ten years, considered to be a “lost decade” have highlighted some of the negative consequences of the document which was initially conceived as a temporary solution. As the agreement cemented the existing ethnic partitions based on the war-time separation lines, it allowed for the perpetuation of ethnic divisions in the education system, police forces and political representation. After the initial economic boom, a period of stagnation and growing social inequality brought to the fore the extent of political neglect, social injustice and corruption. The drawn-out, internationally-led process of justice has been slow, and the role of the Office of the High Representative (OHR) has over the years undermined the credibility and accountability of the Bosnian institutions and eroded democratic principles. The entangled administrative and bureaucratic web created by the agreement is however, considered to be one of the issues which Bosnian citizens find most frustrating in their daily lives. In my e-book, I examine the positive and negative consequences of the agreement, starting with the overview of the early 1990s and the outbreak of Bosnian war, and a brief history of the negotiations and signing of the Dayton Accords. I chose to look at the political, economic and social effects of the agreement, analysing the complex institutional context, international influences, EU integration process, justice and reconciliation as well as the security concerns, – which are relevant not only in the region, but also globally, as well as rising social inequality, high rates of youth unemployment and the effect of these challenges on pre- and post-Dayton generations. Bosnia and Herzegovina has certainly come a long way since the 1990s conflict, and there is a room for cautious optimism regarding the country’s economic potential, but significant obstacles and challenges remain, particularly in terms of an ever-growing need for future-oriented visionary leadership and citizens’ awareness regarding their role in the democratic system. Although political stalemate is the issue most analysts focus on when talking about Bosnia and Herzegovina, I was most motivated to examine how the agreement has impacted on citizens’ lives. I initially set out to write just a larger piece on this topic, but as I spoke with more people in B&H, as well as those who left the country and now live abroad, I was more inspired to include more information, and most importantly to include personal stories which paint a picture of human experiences of conflict and post-conflict era in Bosnia and Herzegovina. These stories are my favourite part of the book, and I hope that in the future, I’ll be able to document more of these experiences, as they present a unique portrait of how the people of different ages, gender, social, economic and ethnic backgrounds are affected by high-level political decisions. If you would like to hear more about the book, or arrange for an online book presentation and Q&A, please contact Lana Pasic at lana.pasic@gmail.com. Lana Pasic graduated from MPhil in Development Studies in 2013. She is based in Sarajevo, Bosnia and Herzegovina, where she works as Development Consultant, Researcher and Writer. 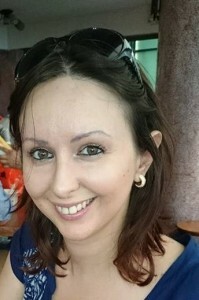 You can read Lana’s other articles at Balkanalysis.com. Comments Off on Twenty Years After Dayton: Where is Bosnia and Herzegovina Today?